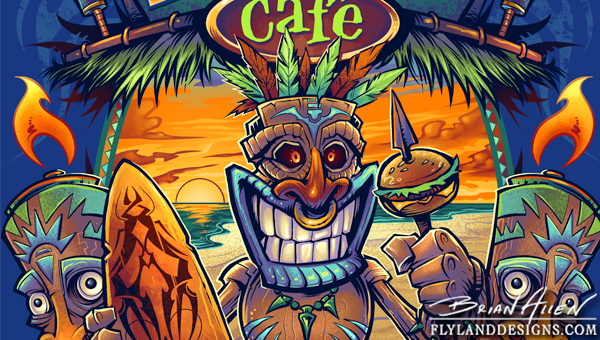 T-Shirt illustration I designed for a restaurant called Big Kahuna Cafe in conjunction with Local T-Shirts. 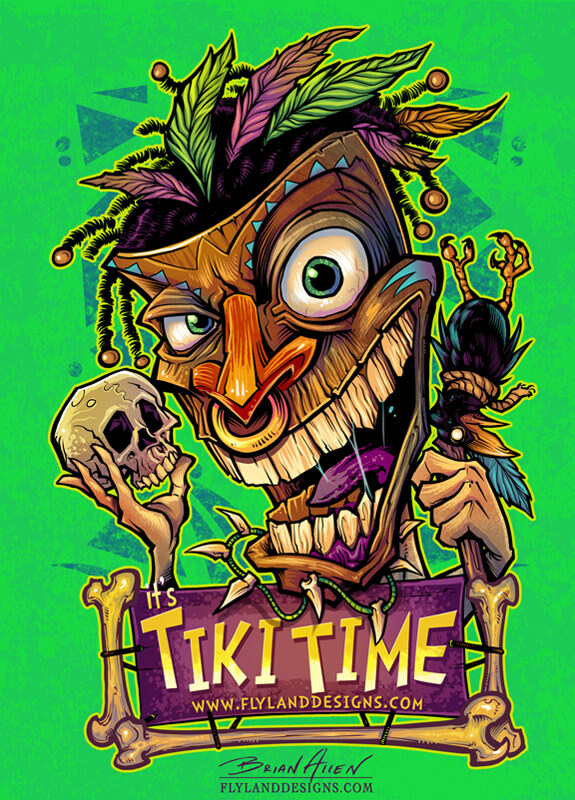 I had a lot of fun with this design – a great theme to be working with during the summer months. 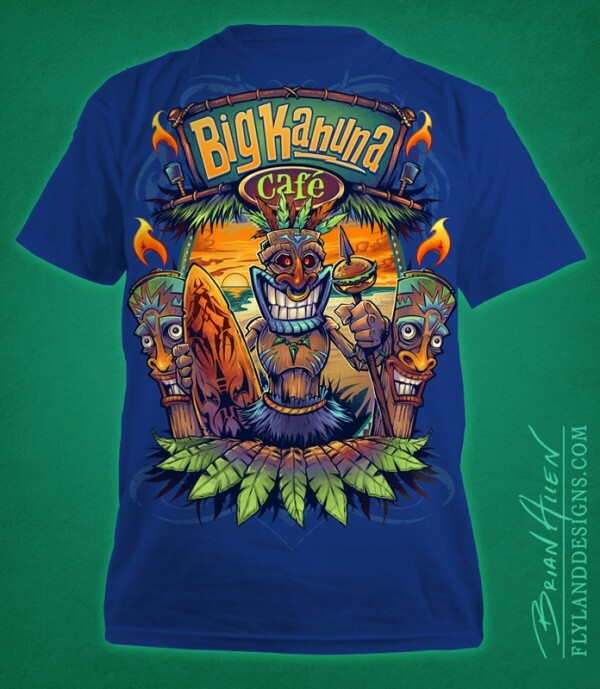 The design was created for Direct To Garment printing, so we could really go all out with the colors. 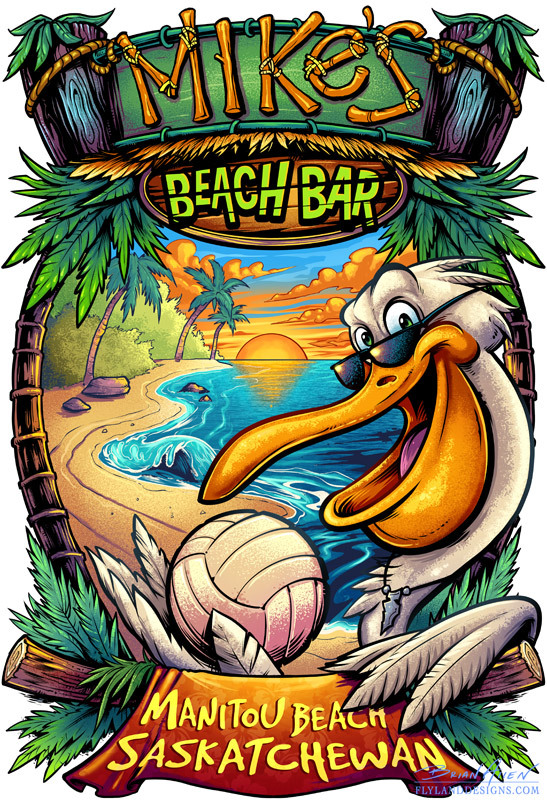 I’ve been exploring a colorful beach theme style with a lot of my clients lately, which translates well to t-shirts for resorts and restaurants.